We have a "Yes We Can” approach. 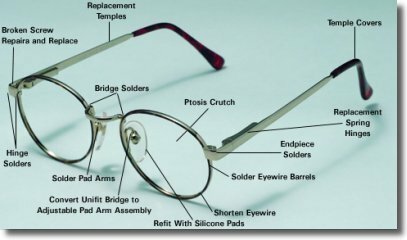 Custom shaping, repair frames, fast next day or maybe same day glasses, adjustments, sport wraps, scuba masks, shooting glasses, computer specs, reading glasses and much more. Our Reputation around town is, it can be done. With our knowledgeable staff, customers have confidence that they will receive the personal service and attention they expect.